Your irritable and fussy infant has been crying almost non-stop for two weeks now. You take your child to the pediatrician who diagnoses your baby with colic. The pediatrician first prescribes prilosec. After three weeks and no change in symptoms, the pediatrician prescribes zantac. After another 3 weeks or so with no change is symptoms, the pediatrician, now flustered, says there is nothing more they can do and provides that all too often statement about your baby’s colic: “they will grow out of it.” With the pediatrician’s hands now washed from the situation, you are now left irritable, fussy and searching for answers. You begin a frantic search on the internet for ‘alternative medical treatment for colic.’ On page two of your Google search, you come across a blog or discussion post about how someone took their infant to a Chiropractor and it cured their colic. You are flustered enough at this point to at least give it a try; even though you are very nervous and skeptical how a “back cracker” is going to fix a baby’s colic. You apprehensively take your child to the Chiropractor. The Chiropractor explains how a subluxation of the spine effects the nerve system and could be contributing to undesirable function, presenting what has been medically diagnosed as colic. After a few visits and adjustments from the Chiropractor, the colic clears up and you choose to call if they need Chiropractic service again. Should you as a parent wait until a subluxation contributes to undesirable function again before you see a Chiropractor? Or worse yet, wait until a disease is diagnosed before seeking care? Chiropractic and its adjustment are not on par with or provide the same effects as medicine and its drugs. There is no unique chiropractic treatment of colic or a specific adjustment that mimics prilosec. Chiropractic is not meant to be an “alternative to medicine” even though that is too often perceived by our society and even worse, propagated by some Chiropractors. We need to stop presenting Chiropractic as a disease treating alternative to medicine. The Chiropractic adjustment does not “adjust” colic, or “adjust” ear infections or “adjust” asthma. The symptoms associated with any disease are not the result of a vertebral subluxation. Nor are the lack of symptoms the product of vertebral subluxation absence. Symptoms are subjective effects of physical, chemical and emotional stresses, while a subluxation is an objective cause of physical, chemical, and emotional stresses. Objective causes are more important to a Chiropractor than subjective effects. This is not to say that Chiropractors are callous to a patient's symptoms, we just don’t rely on symptoms alone, especially pain, as our only marker for health. This is because not only are symptoms subjective in nature, they can also be a sign or indication of healthy function. When the body can’t adapt to physical, chemical and emotional stresses OR if the body is trying to adapt to a physical, chemical or emotional stress; that is when symptoms occur. The most common example of this is the symptoms associated with a fever. A fever is a natural, normal and healthy defense response to invading pathogens. Although the symptoms of a fever can be unpleasant and even painful, they should not be feared or subdued. A subluxation does create abnormal tissue function. This abnormal tissue function can be painless. Overtime, abnormal tissue function creates damaged tissue function. Damaged tissue function can still be painless. Damaged tissue function can create symptoms. Symptoms can still be painless though. Symptomatic tissue overtime can lead to a crisis, with pain as the primary symptom. This is the point where the majority of people “try” Chiropractic for the first time, usual after they have exhaustive all other alternatives, both medical and non-medical. What if we utilize Chiropractic to its greatest potential? The biggest associative benefit that Chiropractic can offer to not only children, but to everyone, has nothing to do with symptoms or disease, but everything to do with improving the adaptability of the nervous system. A subluxation is not the precursor of disease as much as a cause of disorder. Disorder results in a deficiency in adaptation; a less than ideal ability to adapt to internal and external stresses that effect the body on a day by day basis. A subluxation lowers the resistance of the body to functional adaptation. The adaptability of the nervous system is in direct correlation to how well the nervous system is structurally and functionally sound, or conditioned. You don’t need to have colic, ear infections, asthma or any other disease to receive the benefits of Chiropractic care. Do you want to stop disease or start health? Dr. Jarek Esarco is a pediatric and family wellness Chiropractor. 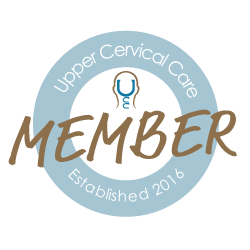 He is an active member of the International Chiropractic Pediatric Association (ICPA). 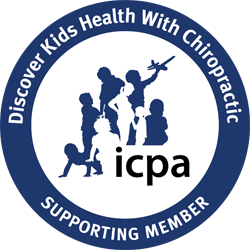 The ICPA is an organization of chiropractic family practitioners dedicated to advancing public awareness and the family wellness lifestyle. Dr. Jarek also has post-graduate certification in the HIO Specific Brain Stem Procedure technique through The TIC Institute. Dr. Jarek is happily married to his wife Regina. They live in Youngstown, Ohio with their daughter Ruby.